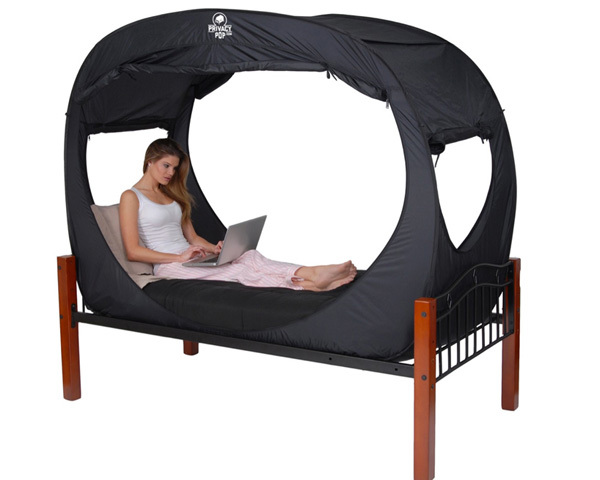 Privacy Pop is a bed tent that provides privacy for those who share a room with others. 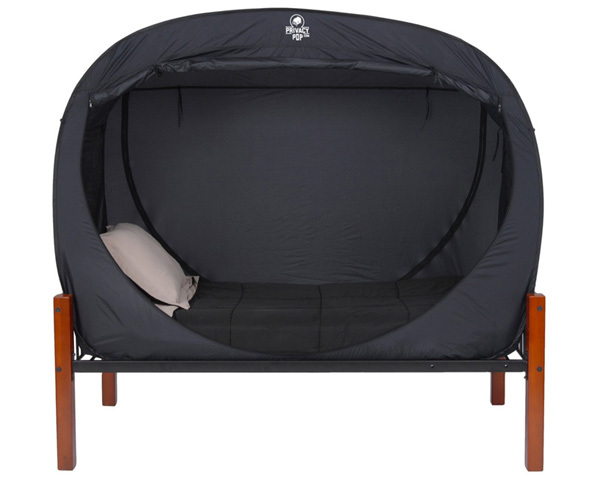 Designed for student dorms and people who share accommodation the Privacy Pop looks like a tent that can be zipped to create some private space. 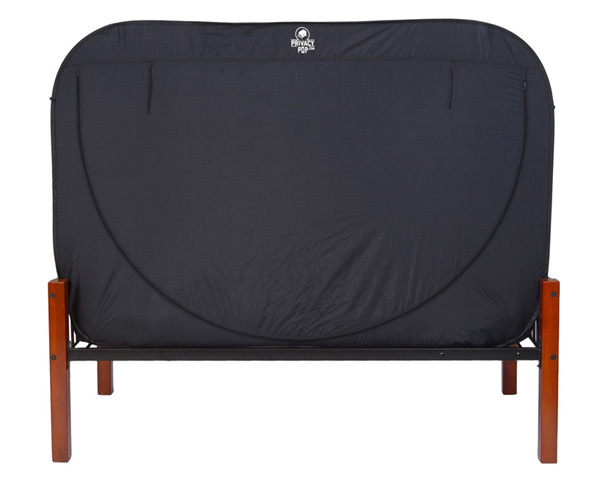 The tent can be folded and fit into a special tote for easy transport. 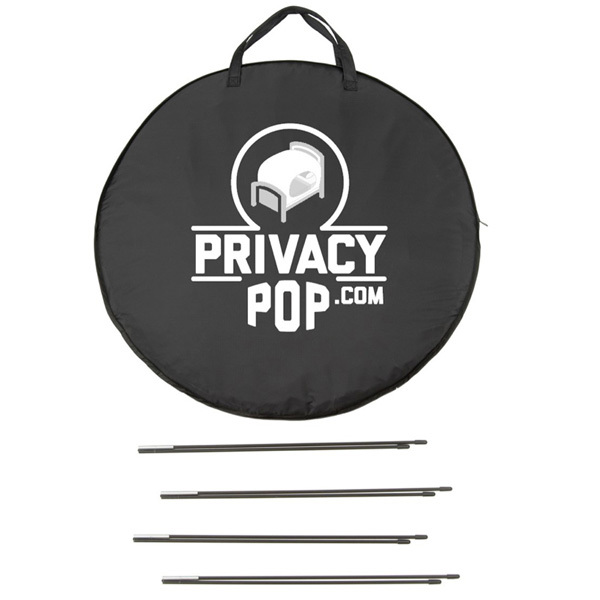 The Privacy Pop has several openings equipped with the zippers which allows the light in from all four sides into the tent. 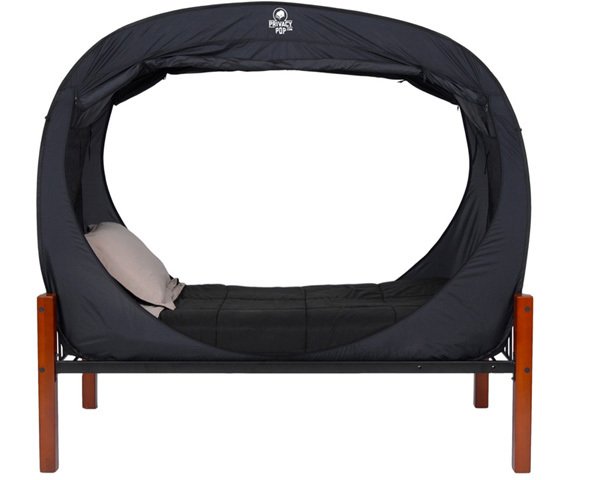 The tent fits the bed’s mattress which makes it stable and creates a nice private space. 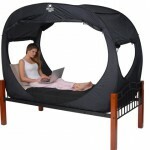 The privacy tent is a good solution for the sound and sweet sleep. 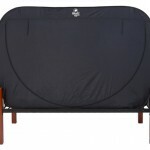 The bed is covered completely so that various light sources do not disturb the user’s sleep. 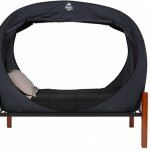 The tent is removable and folding so that it is easy to transport and store when the privacy tent is no longer needed.